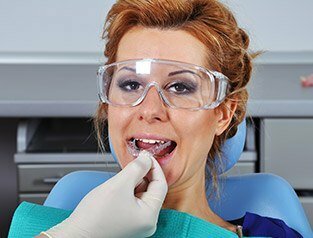 At Advanced Dental Treatment Center, we are dedicated to helping our patients achieve and maintain healthy, painless smile function. For patients suffering from TMJ dysfunction, the smallest daily tasks may seem impossible. From sharing a smile with a friend to having a conversation to eating a meal, every moment of the day can be painful for TMJ dysfunction sufferers. Our Greenfield dentists and team offer a range of TMJ therapies to help patients renew healthy, painless jaw function. Call to find out more or schedule a consultation in our state-of-the-art Greenfield dentistry practice. 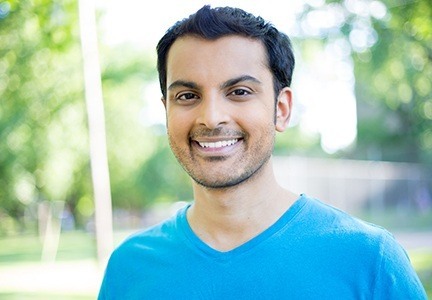 Why Choose Us for TMJ Therapy? 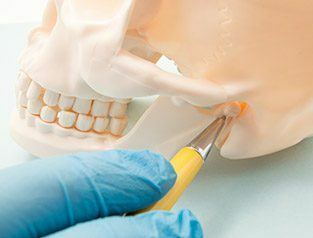 The temporomandibular joints (TMJ) are the small connective tissues that attach the skull and jawbones. When they are properly functioning, patients can speak, chew, and smile without pain or impediment. When the TMJ are strained or damaged, the result is pain, swelling, limited jaw movement, or complete immobility. In severe cases, we may refer patients to specialists for surgical intervention.